Adarsh Kumar from SIFE Somaiya Social Cell sent us the following report. 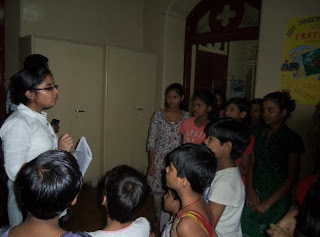 Write up on the event conducted in The Shelter, League of Mercy, an NGO in Byculla and Little Flower English School at Ghatkopar (west). SIFE Somaiya Social Cell in collaboration with PRATHAM Books organized a story telling session for school children in the city on 8th September, 2012. 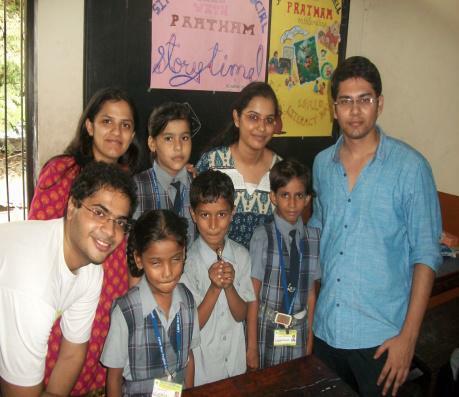 SIFE Somaiya Social Cell Members visited Little Flower English School at Ghatkopar (West). The day began with an ice-breaking session with students of class III. Little tots were excited to see new faces in their classroom. The game 'Pass the ball' was also held among the students. An informal questioning session along with chocolates added to the fun. 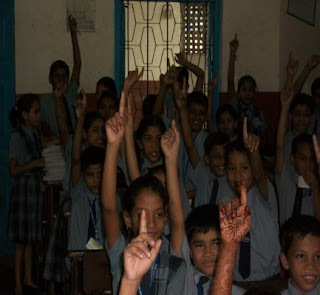 The students were informed about the importance and meaning of World Literacy Day . Storytime began with the narration of a story “Susheela's Kolams”, in which a girl named Susheela excels in her hobby of “Rangoli” making. The story aims to encourage students to pursue their likings and excel in it. The story was read out and explained to the children, a few of whom re-narrated it before the class. The children were divided in groups, and from each group a student came up and narrated a story of his/her knowledge. 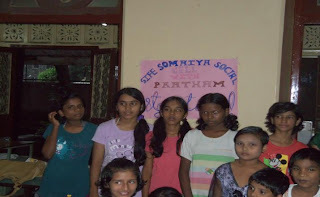 Class teacher appreciated the efforts of the SIFE Somaiya Social Cell members. During post-lunch session, there was a similar interactive session with children of class IV. The response was overwhelming. At the end of our session, teachers and Principal of the school thanked us and expressed their willingness to conduct such activities in the future. As said literacy is a fundamental right of every individual. There is no child in this world who does not want to read, who does not have the desire to rise, and answer to all these desires lies in literacy and education. Thus, SIFE Somaiya Social Cell, along with PRATHAM Books, on the eve of World Literacy Day, took the initiative to celebrate it by visiting different NGOs in Mumbai and conduct sessions with children residing there. The interaction began by addressing the NGO officials, explaining the purpose of our visit and what we intended to do through the session with the children. 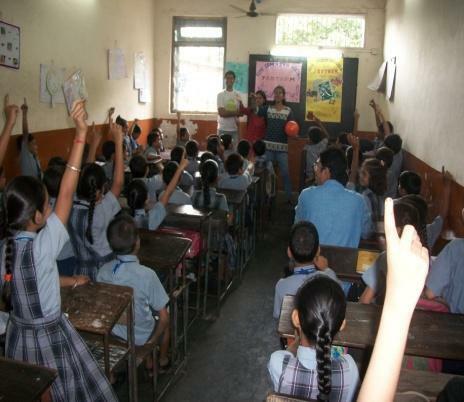 After that, an ice-breaking session with the kids paved way for yet another exciting story telling session with them. Ranging from the age of 5 to 16 years, these children were well groomed and expressed great interest in the session. 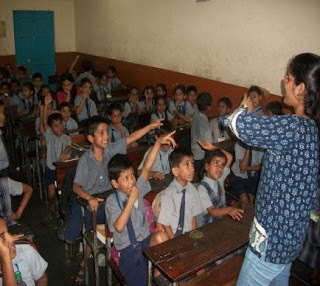 It was an engrossing session for SIFE volunteers too during which children sang rhymes, introduced themselves in the languages they knew, talked about their and shared about their interests. The material for the storytelling session was provided by Pratham Books. Students read out from the book “Susheela's Kolam”. 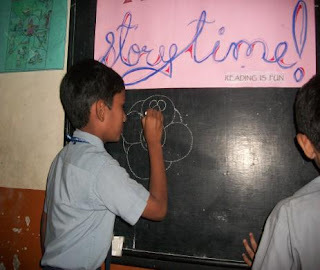 The theme of the story was 'kolam'( a rangoli technique prevalent in South India). 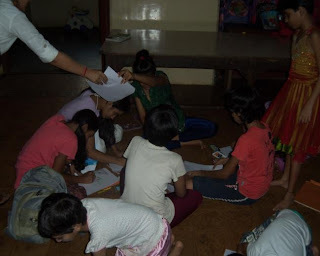 Towards the end of this session, children were asked to come out with innovative kolam designs, which they drew and thus, were given drawing sheets to come up with the best design possible. 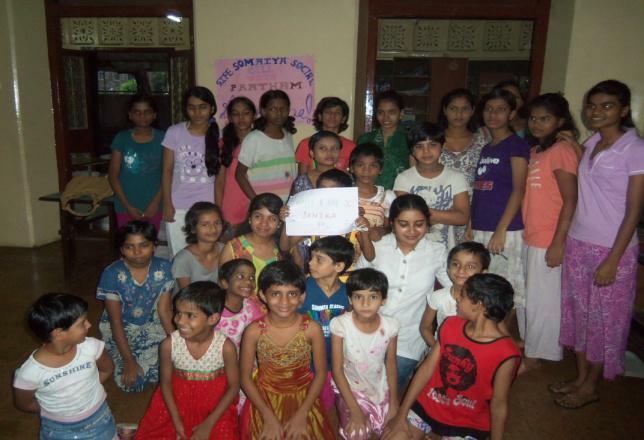 Meanwhile, a surprise birthday celebration was planned for Sanika, and when the drawing session ended, everybody danced to the tunes of Happy Birthday Sanika!! It surely added to the mood of the day. 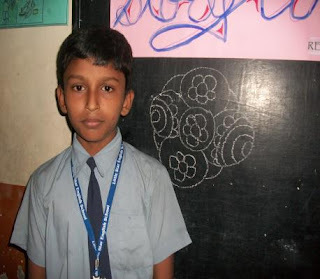 Best three kolam designs were rewarded. After the prize distribution, another story session exclusively for elder children followed, which was based on Science V/s God. The session ended with the distribution of chocolates and colors to children. 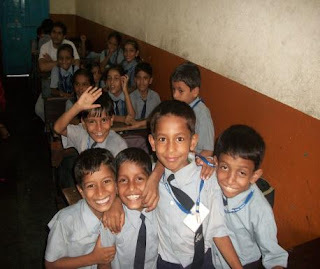 Photographs were clicked to capture those moments and also those innocent faces and smiles that reflected hope and aspirations to make it big in the mad world. 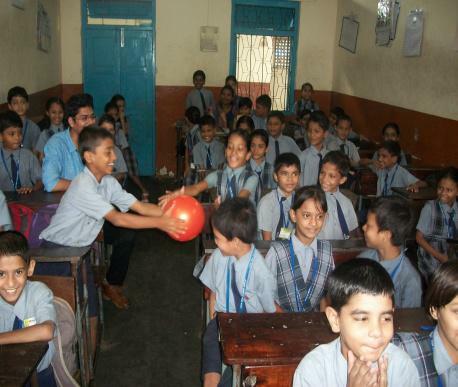 Through these sessions, SIFE Social Cell got an opportunity to do its share in putting a smile on those faces. Thank you SIFE Somaiya Social Cell for spreading the joy of reading!